Bitsboard (free currently) is a brand new iPad app created by Grasshopper Apps, the fabulous developer of over 90 educational apps for learners with early developing skills. 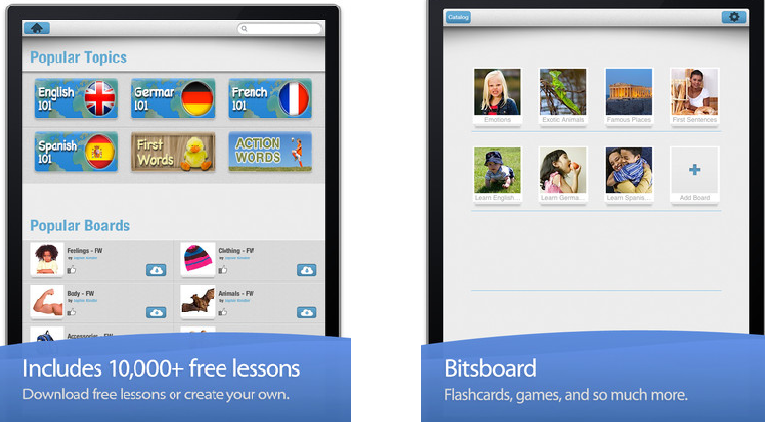 Currently a free the apps, app, Bitsboard is a flashcard app providing a catalog (color, action words, telling time, first words, languages, numbers, words topics and more) of downloadable flash cards as well as the option to create your own. 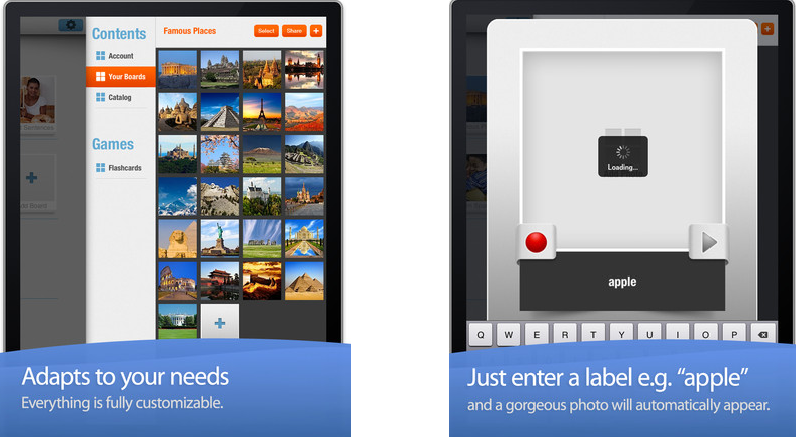 Images, audio and text are options to add to the flash card contents. I have not had a chance to work with this app yet, however as typical of the Grasshopper Apps ability to customize contents makes this app appealing as it can be used for a variety of students and content topics. Posting it now also allows others to hopefully acquire it when free should it be a pay for app after its initial debue. Check it out while still free. Will this be part of your OT iTool Kit? What are the kinds of things you might use it for? I am thinking some self-regulation flash cards???? Knowing OT’s, special education teachers or parents there are many ways to use this app! This entry was posted in App Reviews, Apps for OT's, Apps for Special Needs, Free apps, iPad, Occupational Therapy, Special education, Special Education Teacher, Special Needs and tagged App Review, Flash Cards, iPad, occupational therapy, OT Apps, special education, special needs students. Bookmark the permalink.